In Scotland, driverless buses will be tested on public roads for the first time as part of a major expansion of the technology. 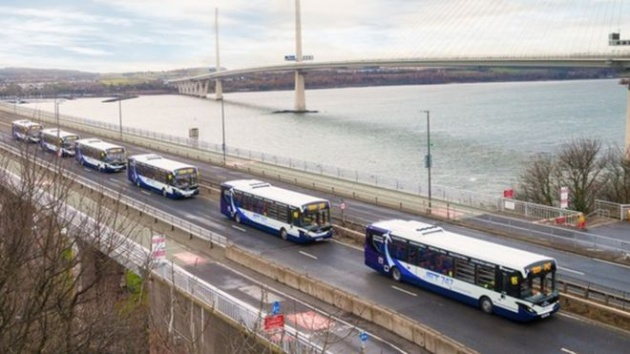 Under the government-funded trial five autonomous single-deck vehicles will run between Edinburgh and Fife, although regulations mean that a driver will remain on board during all journeys. The buses will carry up to 42 passengers across the bridge to Edinburgh’s train and tram interchange on a 14-mile route, with services every 20 minutes. The trial will begin by 2021. Funding of £4.3 million will be made available for the project which could lead to the introduction of driverless buses across the UK.